Since 1997, Mary Fahey has owned and operated Wise Acre Farm in Arbuckle, California. Located in Colusa County, Mary developed a successful small farm business raising market produce, eggs, and 10-acres of almonds. 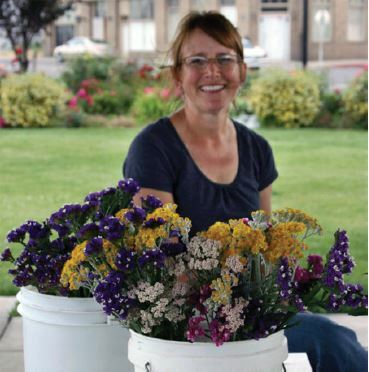 Mary practices sustainable farming methods, participates heavily in the revitalization of her hometown’s agricultural economy, and also hosts educational experiences for school age children as well as workshops for fellow farmers. Mary has also worked for several years on watershed wide solutions to natural resource concerns and in 2012, was awarded the Watershed Coordinator of the Year award by the California Association of Resource Conservation Districts. Over the years, Wise Acre Farm has incorporated many native plantings around the property to encourage natural habitat restoration and to improve water quality by eliminating erosion and filtering runoff. In 2007, Wise Acre Farm became a participant in the Colusa Almond Project. Project partners worked with Mary to implement various BMPs (Best Management Practices) such as cover crops, insectary hedgerows, grassed swales and stream bank stabilization techniques. Since then, the creek running through Wise Acre Farm has been stabilized and is a successful demonstration site for other almond growers to learn about BMPs for their farms. When Mary bought her property, it had been used for many years for horses, with the only vegetation consisting of fenced pasture areas. During the heavy rains in the winter of 1997, Mary lost a significant amount of ground to erosion along an intermittent creek that bisects the property. She also learned that her watershed had been listed as having known pesticide contaminants. She began to seek out a solution to her own farm’s erosion issues. In 2000, Mary contracted with the Colusa County RCD (Resource Conservation District) and NRCS (Natural Resources Conservation Service) to address erosion issues and install native plant hedgerows around the property. In 2007, after establishing a 10-acre almond orchard on her farm, she became a participating farmer in the Colusa Almond Project. The Colusa Almond Project was funded by the California State Water Resources Control Board to address water quality in runoff from almond orchards along tributaries to the Colusa Basin Drain, which flows into the Sacramento River. The main goal of the project was to reduce the amount of sediment and pesticides in winter runoff from select almond orchards by demonstrating a number of best management practice (BMP) techniques. These BMPs offer practical management solutions for almond growers that are economically viable and compatible with their agricultural operations. Creek stabilization activities on Wise Acre Farm were funded in part by the Almond Project and partly with Natural Resources Conservation Service (NRCS) Environmental Quality Enhancement Program funding. An NRCS Engineer consulted on the project and Colusa County RCD and Audubon California provided Mary with technical expertise and project planning. Mary prepared much of the site herself. 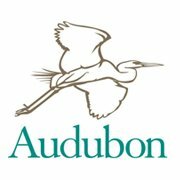 Irrigation was installed, native deergrass was planted along the creek banks, a large variety of native plants were installed and barn owl boxes were added to the site. Since then, Mary has made maintenance of the creek plantings, hedgerows, and cover crops part of her farm operations and has continued planning more habitat enhancements. As part of an effort to encourage more almond growers in Colusa County to implement erosion reduction practices on their farms, the Colusa Almond Project produced a reference guide called, “Best Management Practices for Colusa County Almond Growers”. Since the project’s completion Mary has hosted school field trips and workshops at Wise Acre Farm. In addition, she has worked as a Watershed Coordinator for the Colusa County Resource Conservation District providing technical assistance to other farmers and ranchers who want to solve the natural resource concerns on their properties.